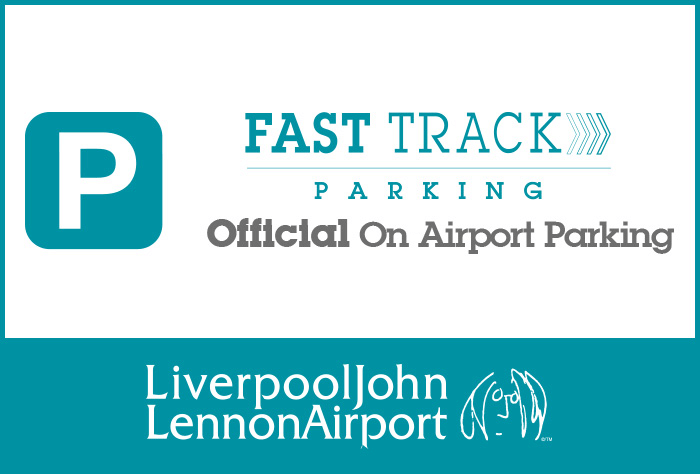 If you're looking for a simple, convenient and of course, fast, way to park your car at John Lennon - Liverpool airport, the new Fast Track car park is the ideal choice. The car park is just a short walk from the terminal so once you have parked your car, packed your keys away safely, you can make your way to the check-in. No transfer buses to wait for and no luggage to cart on and off. The walk only takes 1 minute and is undercover. An added bonus to this package is that you will receive 2 security Fast Track passes when you book with Holiday Extras, making your journey even quicker. A super-convenient car park that's next to the terminal. If you're looking for a convenient car park that puts you in control, then you've found it. As the name implies, Fast Track parking is a swift and smooth experience - you'll wonder why you haven't tried it before! You simply need to drive up to the automatic barrier, which will lift when it recognises your number plate, take a ticket, drive in and park your car. It couldn't be easier, and you get to keep your keys with you, so you know your car won't be moved while you're away. When it's time to catch your flight, you won't need to worry about transfers. Just walk under the covered walkway to the terminal and you'll be there in less than one minute. You'll get your own separate entrance into the terminal and what's more, you can get two security fast track tickets with this car park to make your journey even smoother! While you're enjoying your holiday, your car will stay exactly where you left it. The car park has been awarded the Park Mark for its security and has regular patrols, so you know your car is in good hands. Once you've landed in the UK, just collect your bags and walk back to the car park. Hop in your car, drive to the barrier and insert the ticket you got when you arrived. You'll then be free to head home without any hassle. This package lets two people use the Fast Track lane through security. You will need to print out your parking confirmation to show at the airport. There are disabled parking bays near the front of the car park, though they are limited and cannot be reserved. When it's time to catch your flight, you just need to walk under the covered path to the terminal and you'll be there in less than one minute. Everything went smoothly I use this car park every time I fly from Liverpool. It would be a lot easier if there was a trolley bay on the car park perhaps beside the covered walkway. All good but did not find the carpak well sign posted. Everything was perfect we have a disabled son and your car park facilities in Liverpool airport are excellent. The car parking was very convenient. It would have been Munich more helpful if there had been proper signage at Liverpool. Our customers rated Fast Track Liverpool Airport on average 8/10 (69 reviews). Read Fast Track Liverpool Airport reviews.